In the gym, I believe in training with high intensity and high volume on a weekly basis. I’m also a huge proponent of full-body training (working all major muscle groups in every workout) for both maximizing fat loss and building muscle. I also believe in focusing on individual muscle groups to further promote hypertrophy and to bring up weak areas of the physique. That said, my Stoppani Full-Split (SFS) system is a hybrid of both full-body workouts and bodypart-focused training splits. Generally speaking, I believe in a multipronged approach when it comes to the three macronutrients: (1) consuming ample protein every day (1.0-1.5 grams per pound of bodyweight) to maximize muscle building and recovery; (2) getting in a combination of polyunsaturated, monounsaturated, and even saturated fats to enhance growth and recovery and aid joint and heart health; and (3) manipulating carbohydrates to maximize fat loss, provide energy for workouts, and replenish glycogen stores after training to promote muscle gains. I also support intermittent fasting (IF) for staying lean while having some leeway to be “loose” with your diet, as well as enhancing overall health and longevity. For me, proper supplementation comes down to five major pillars: (1) Scientifically-Proven Ingredients, (2) Specific Form/Type of Ingredients, (3) Adequate Dosing, (4) Effective Synergies between Ingredients, and (5) Proper Timing. I view supplements the same way I view training and nutrition – it takes a comprehensive approach to achieve maximal results. Taking products sporadically won’t work; consistency is key. 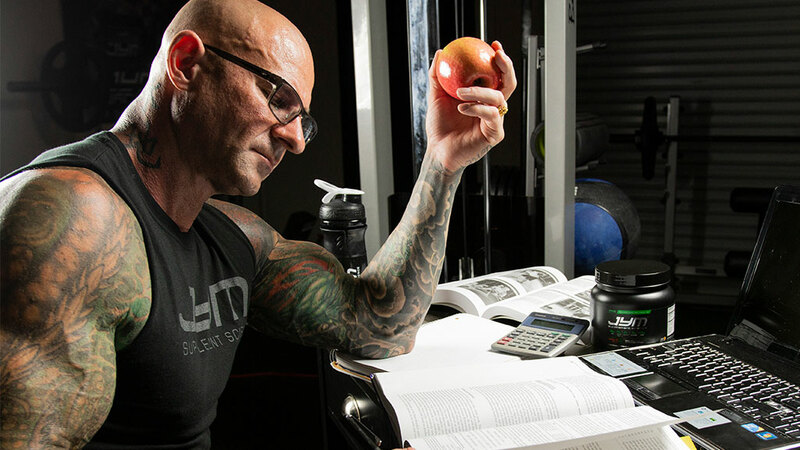 As a supplement provider, JYM Supplement Science stands for full transparency. No hidden ingredients, no proprietary formula, no concentration formulas, no misleading information.